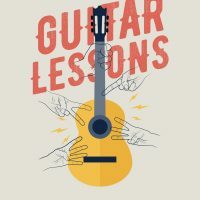 Group lessons with an acclaimed musician that has multiple albums, has played and taught around the world and has written much of his own music. Students will learn correct techniques while focusing on chords, rhythm, musicianship and more. This is geared towards acoustic music. You will not be disappointed in this experience. 6PM FOR YOUTH 6-12 YRS. BEGINS: FEB. 28TH, MAR. 7, 21, 28 and APR 11TH.